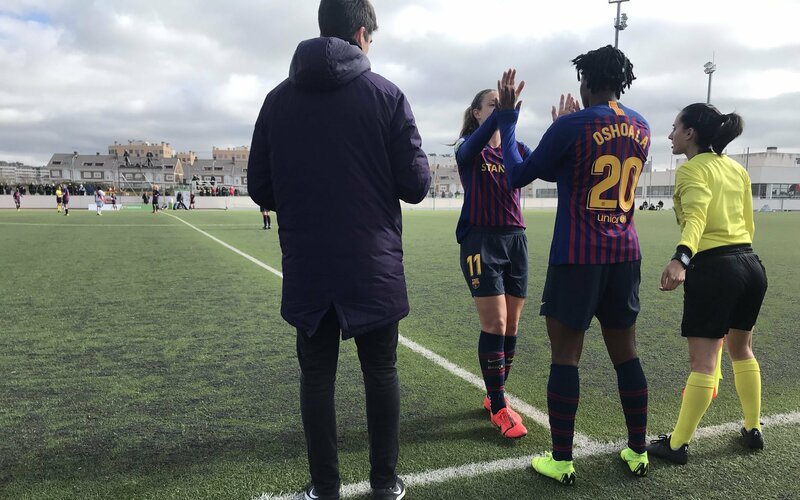 Super Falcons of Nigeria star Asisat Oshoala began her loan spell with FC Barcelona Femeni on a magnificent note scoring on her debut for the Catalan club in their 4-0 away win at Rayo Vallecano on Sunday. The former Liverpool forward scored Barcelona’s fourth goal of the encounter in the 63rd minute from her first touch, less than a minute after replacing Alexia Putellas. Barcelona had a two-goal advantage early in the first half with goals from Putellas and Lieke Martens coming in the 15th and 16th minutes simultaneously. Oshoala, who joined Dalian Quanjian from Arsenal, joined the Blaugranes Ladies on a six-month loan deal last month.